Keep up to date with our latest adventures and updated community news here! On the evening of the 4th of August Jomo's Power Soccer Club hosted a fundraising event - a modelling competition at the Saxonsea Community Centre. Family members of the boys belonging to the Soccer Club were invited to participate and Dala as a sponsor, was invited to attend the event. There were 3 age divisions for those participating in the competition: Toddlers (4 - 6 years), Juniors (7 - 13 years) and the Seniors (14 - 18 years). The show was very well organised and attended, and the judges certainly must have had a hard time choosing the 3rd, 2nd and 1st place winners in each division. Well done to the girls who participated as well as the organisers who raised the funds for Jomo's Soccer Club. All the proceeds will go back into Jomo's Power Soccer Club, affording them to upgrade their equipment/ gear and keep the youth inspired. Jomo's Power Soccer Club is situated in Atlantis. 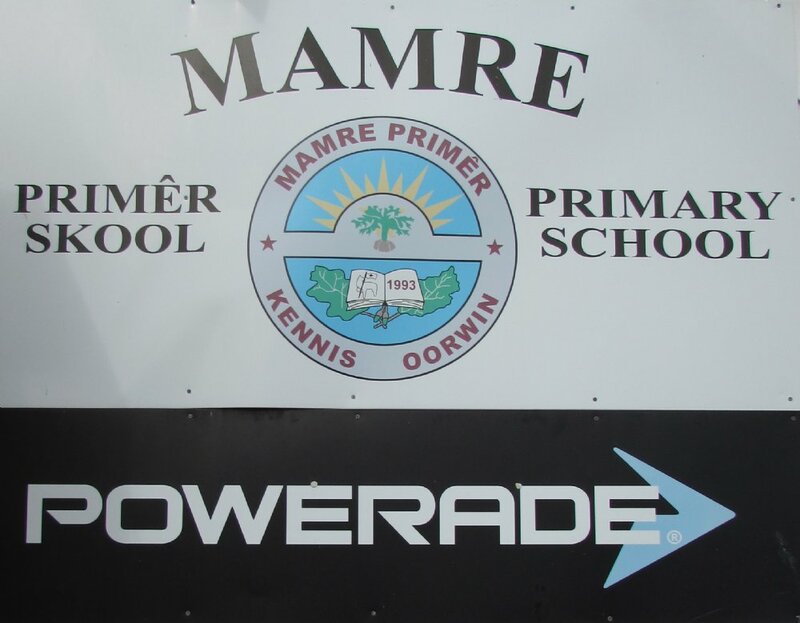 It is the biggest soccer club in the area, and the players come from many of the following areas: Saxonsea, Ext 12, Protea Park, Beacon Hill, Witsand, Evondale and Robinvales). The club was started with the mission to keep at risk youth off of the streets and fostering for them a sense of community and a space for them to be passionate about their much loved sport. 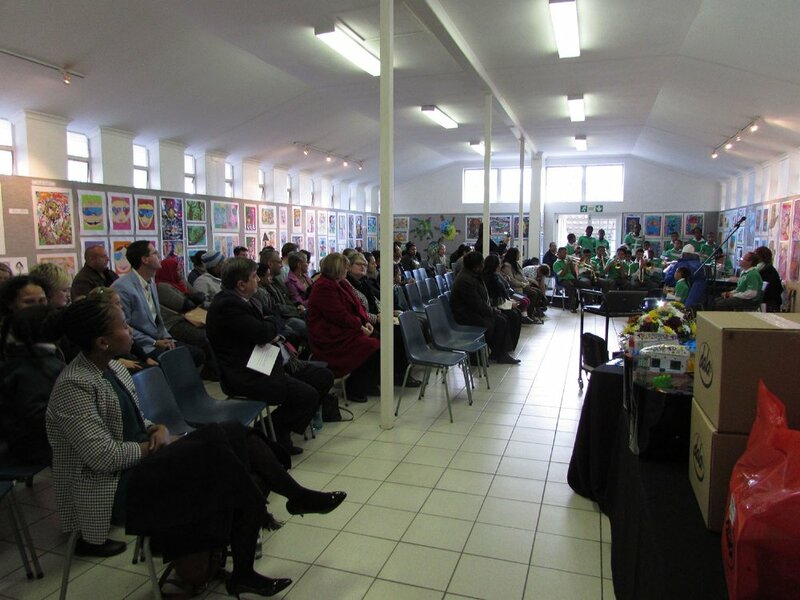 On the evening of Mandela Day 2017, Dala was excited to attend another one of Lalela's Childrens Gallery Events. 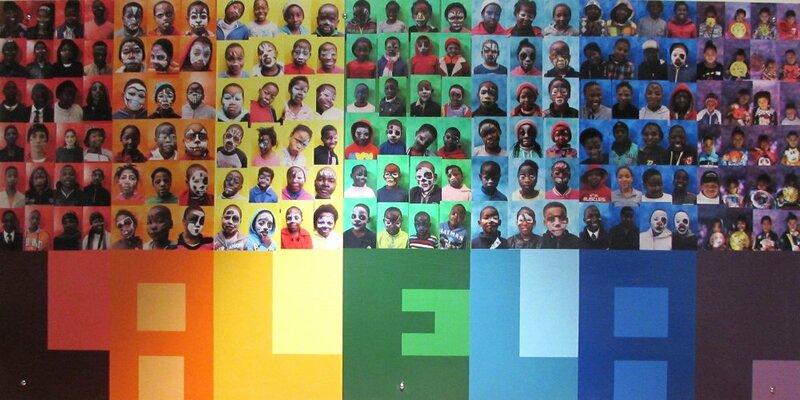 Lalela is an organisation that provides educational arts for at-risk youth to spark creative thinking and awaken the entepeneurial spirit. 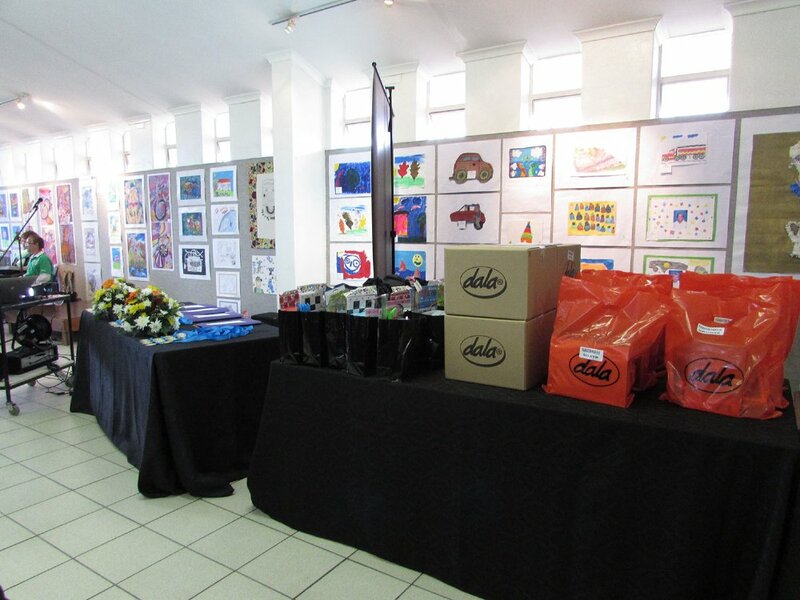 They also have a space dedicated specially to them at the One & Only hotel in Cape Town where they host events and showcase what the learners have been up to throughout the year. 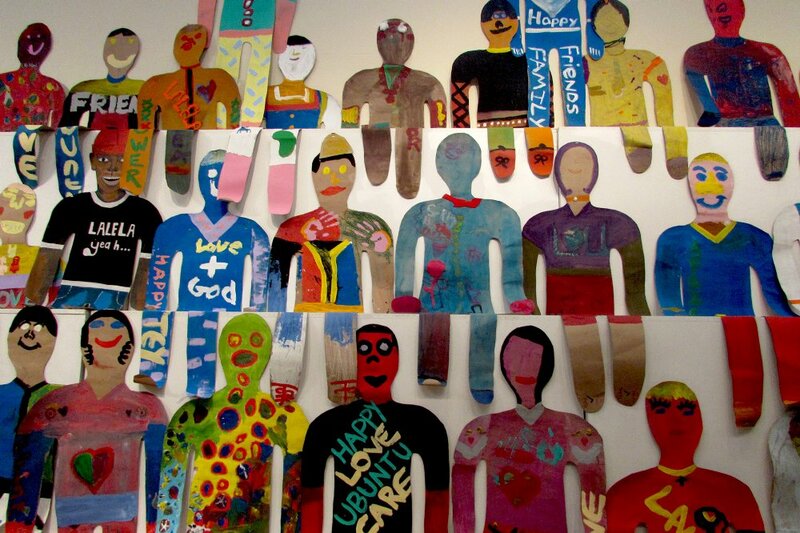 This is the first art gallery dedicated entirely to children and childrens art in Cape Town. 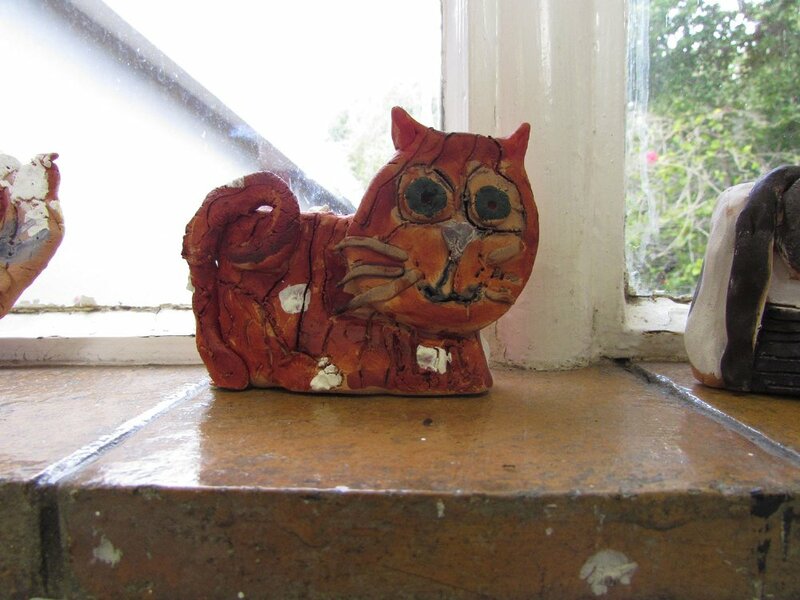 This event showcased the artworks the learners created under the recent guidance of artist 'Jane Waterous'. 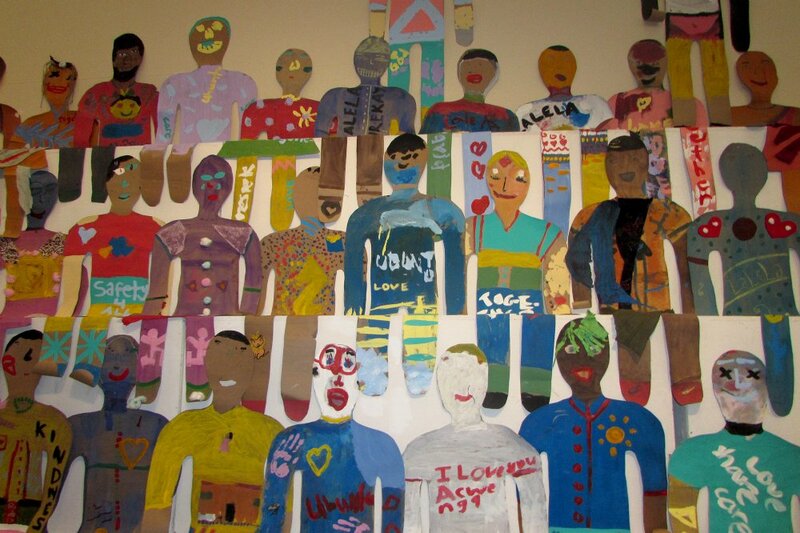 The theme was "Ubuntu" and each of the learners had to create a life size portrait of themselves and express what it means to be a part of a community. 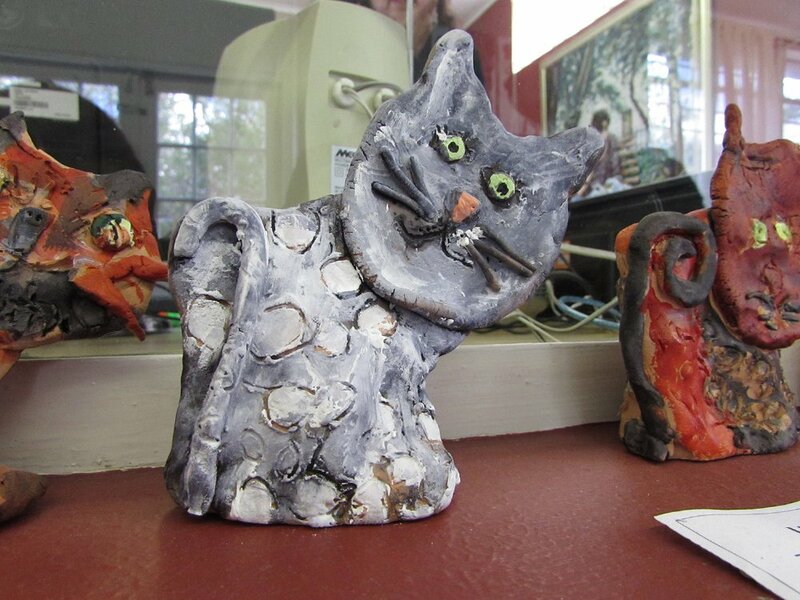 The artworks were displayed, or "sat" on stands surrounding the gallery space as if they were spectators looking at us. 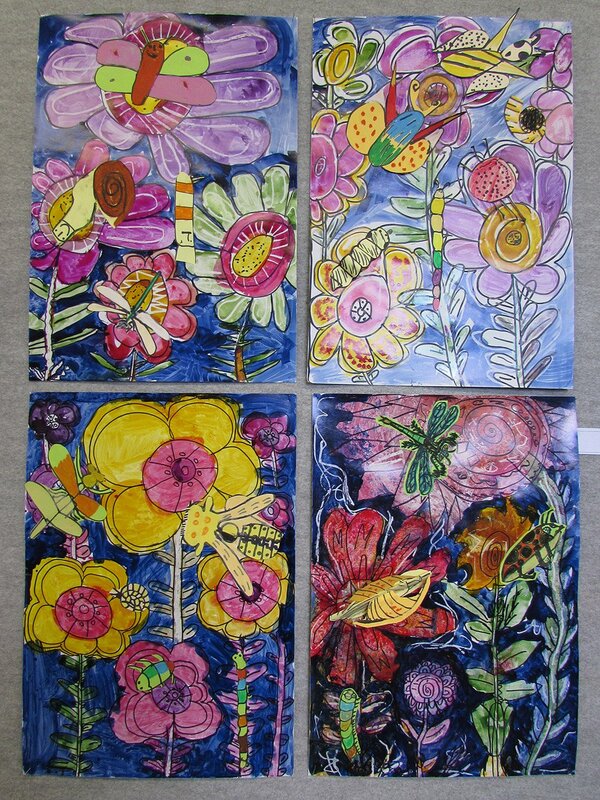 The learners produced incredible, colourful and soulful works of art. Jane Waterous also has two stunning pieces up in the hotel. 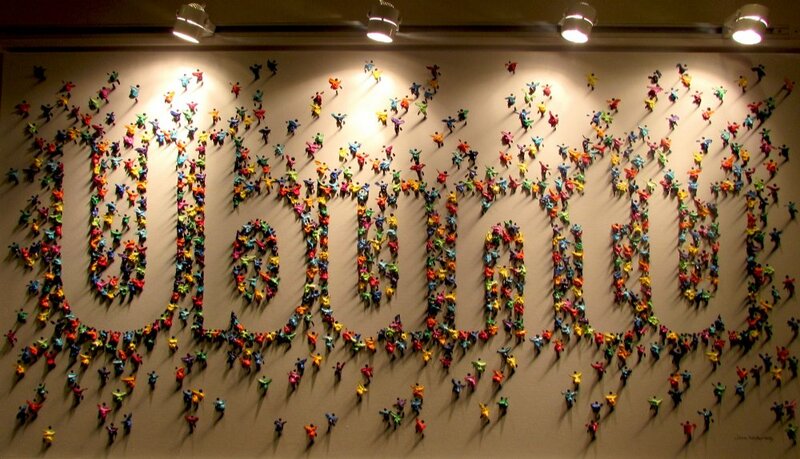 One being a piece called 'Ubuntu' and featuring thick and quick paint marks transformed into little people, all crowding to create the word "Ubuntu" in the negative space on the canvas. 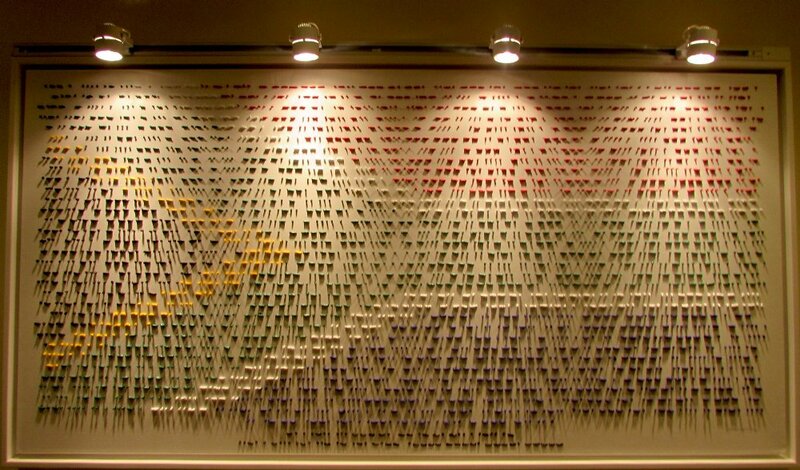 Her other piece is an astounding painting that looks like the South African flag made up of small dots and lines at first glance, but is actually the South African National Anthem in braille! 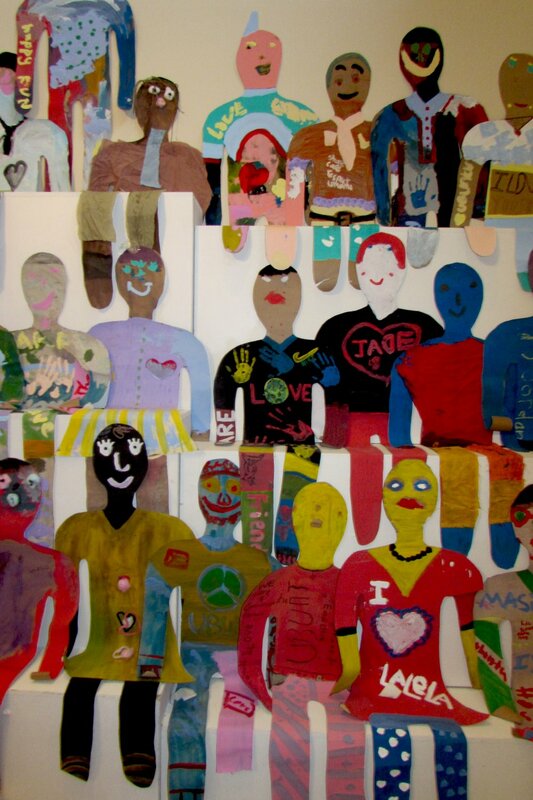 The artworks will be up until... for public viewing. 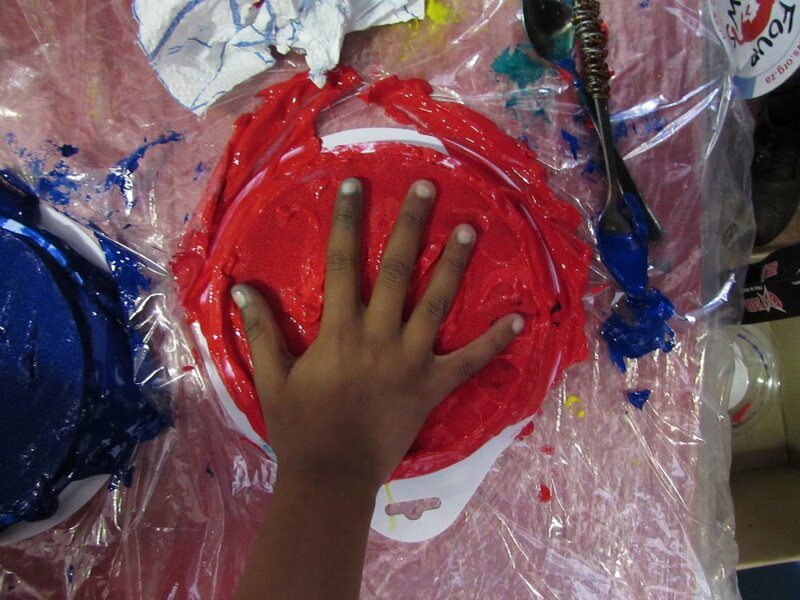 Thank you to Lalela for all their valuable work within the community, providing at risk youth with a creative outlet and wonderful educational programmes they would otherwise not have access to. We would also like to say thank you for inviting us to your event and allowing us to be a part of the Lalela vision. 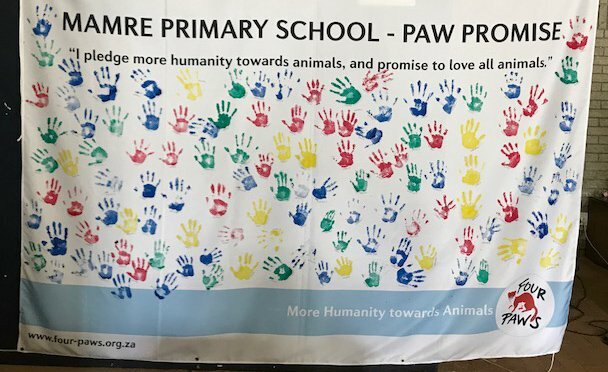 Mandela Day 2017 was a great success for the fantastic Four Paws team who held an event at Mamre Primary School here on the West Coast. 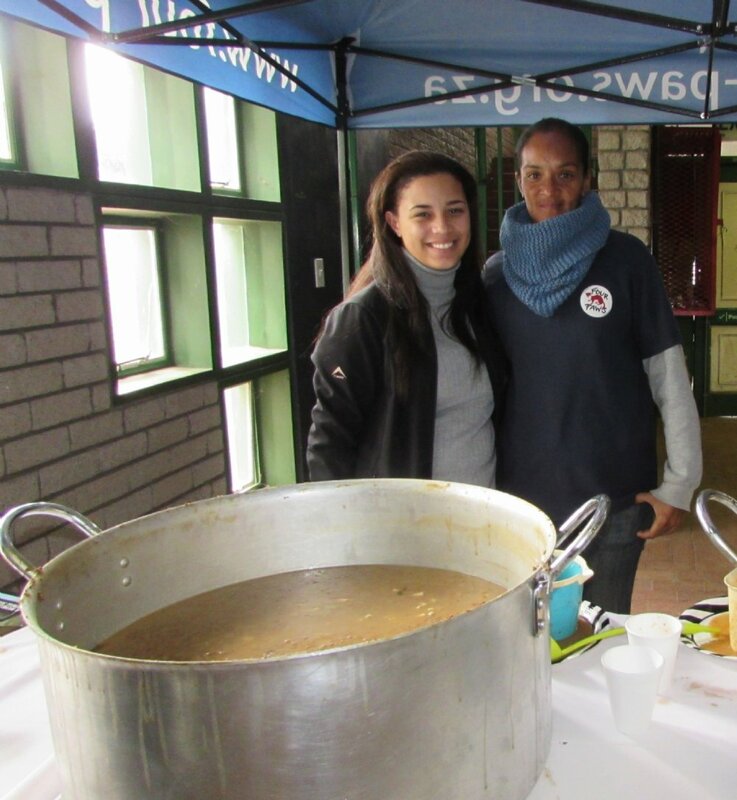 They provided the 150 learners aged between 4 and 14 years old with hot meals - kindly donated by some of the other event sponsors, as well as care packages full of essential items. 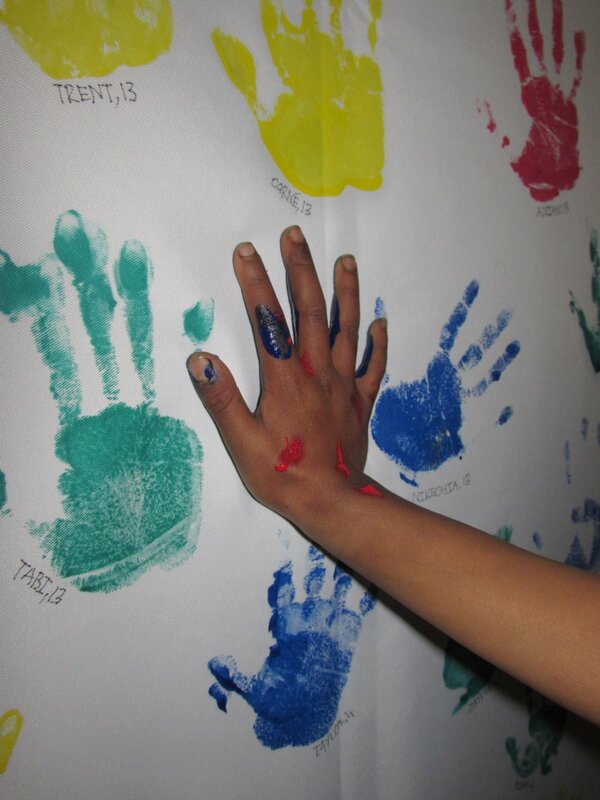 They also, and most importantly, gave the kids the opportunity to pledge to be kind to animals - a promise solidified by stamping their Dala Fabric Paint covered hands onto a massive fabric banner that the Four Paws team will be displaying at their offices. 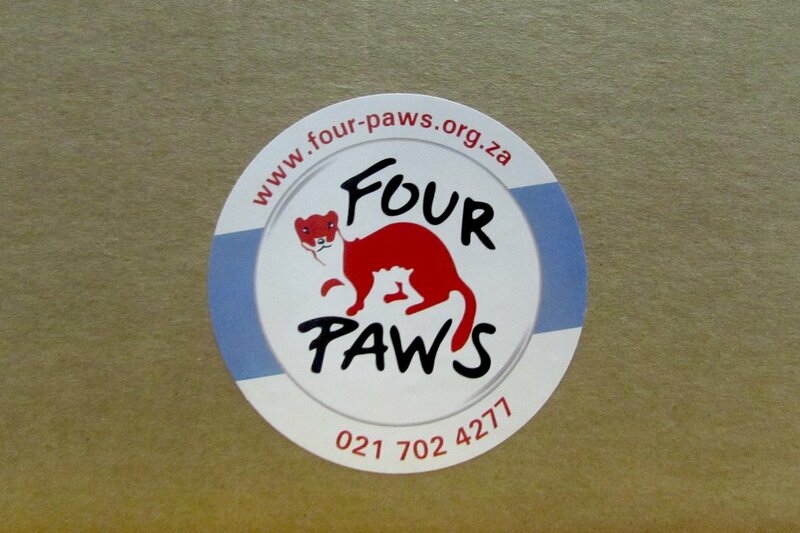 Four Paws is partnered with African Tails, an animal welfare organisation dedicated to caring for stray animals, and together they provide a free medical treatment service to animals and their humans in disadvantaged areas as well as running educational programmes to teach the public how to properly care for their animals. 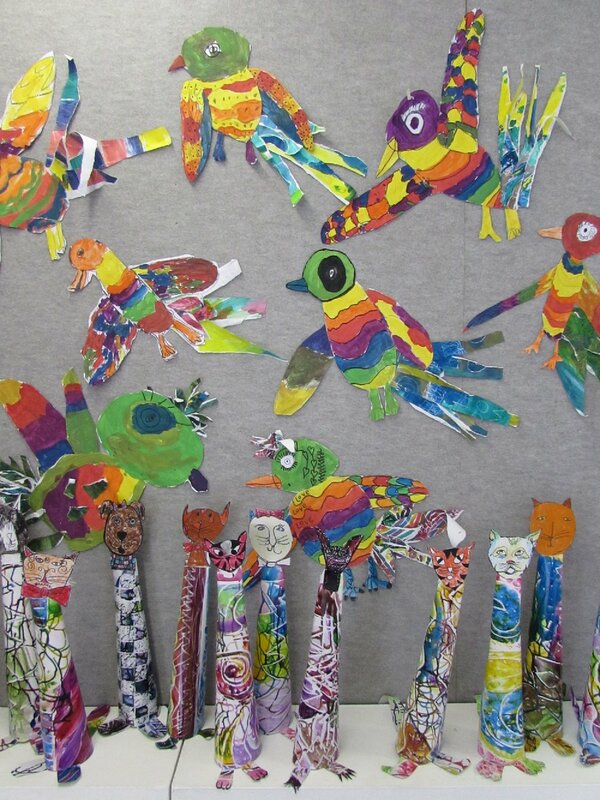 They also run educational programmes within creches and schools that use art as a means of teaching the kids all about respecting, being kind to and caring for animals. 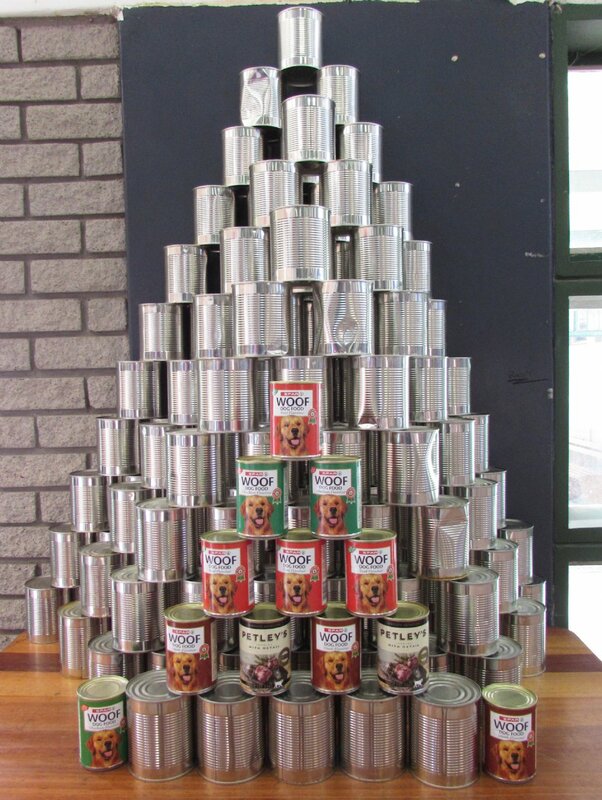 Well done to the Four Paws team! 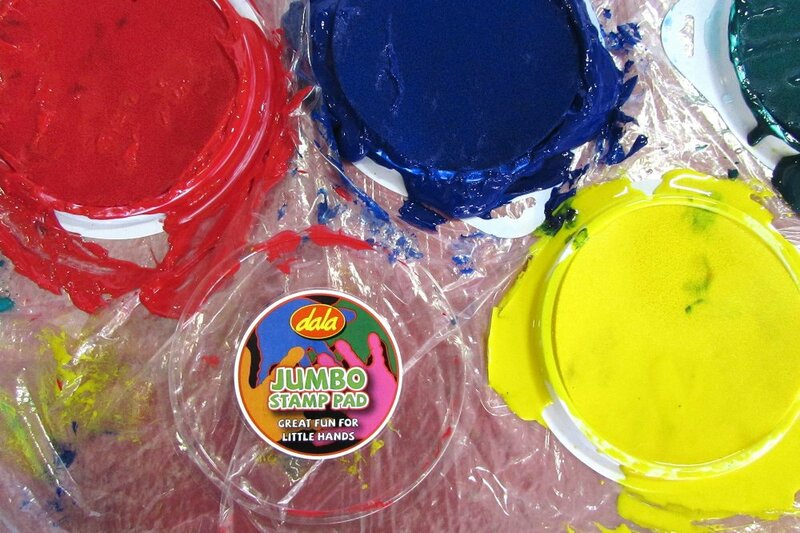 Dala was proud to have sponsored the paints and stamp pads, and to have been invited to and included in the event. 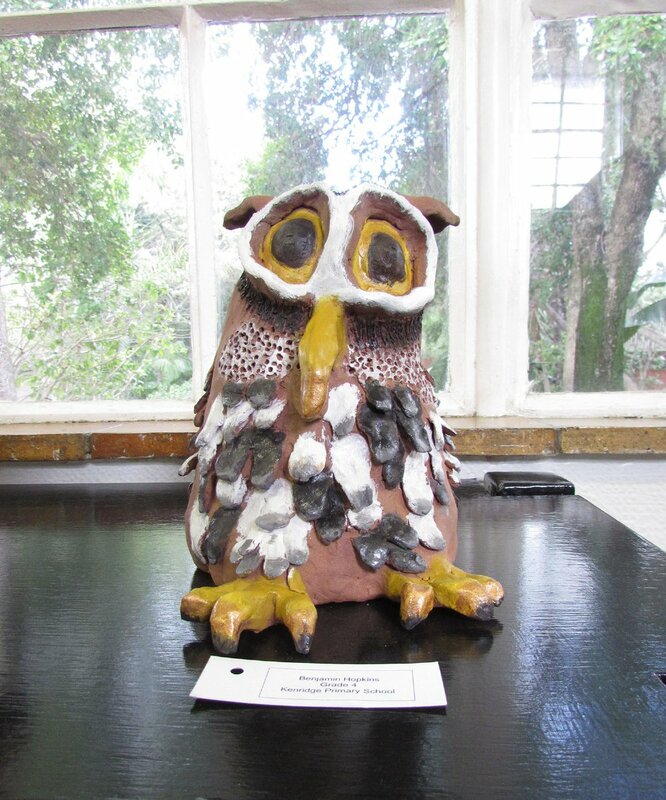 Dala was invited to attend, and participate in the 2017 Western Cape Provincial Art Celebration awards ceremony on the 28th June 2017 at the Tygerberg Art Centre, in association with the Western Cape Education Department. 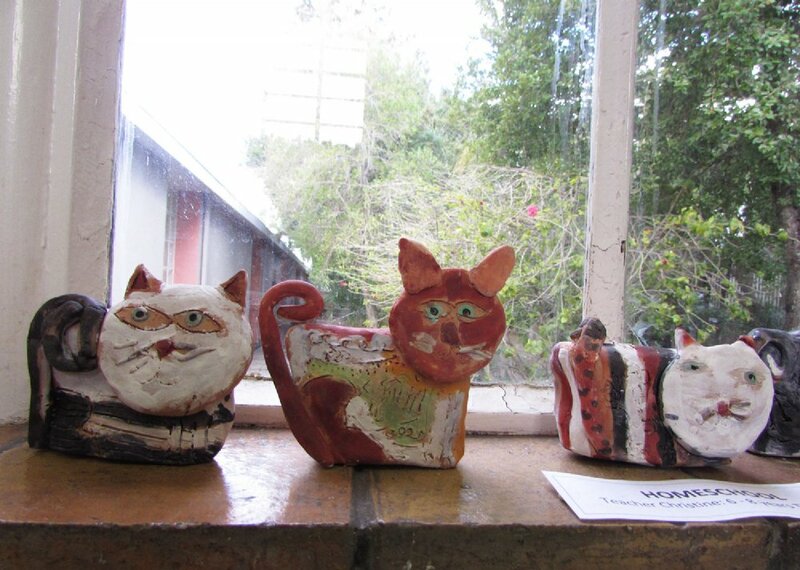 The art centre was established in 1975 with the purpose of offering art education to children of residents in the Northern Suburbs of the Cape Peninsula. 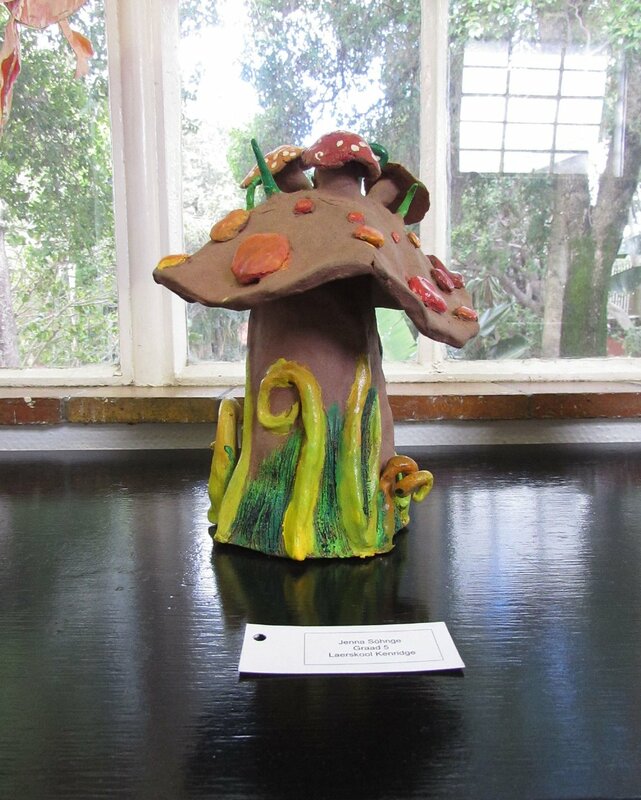 Learners selected from various schools in the Metro North Education District were awarded gold, silver and bronze in the creative arts. 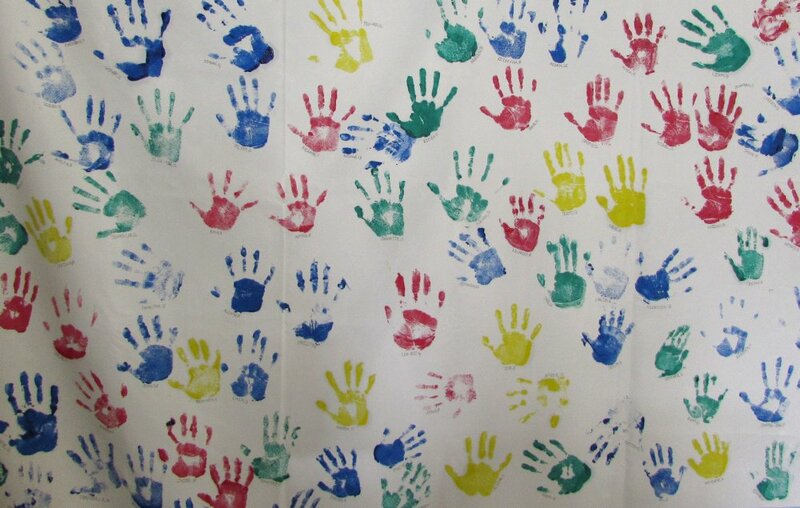 The three age divisions were as follows: 6 - 10 years; 10 - 13 years and 13-16 years. 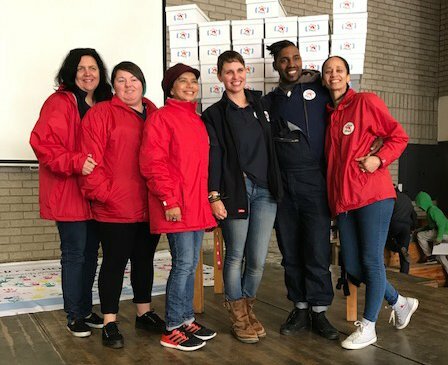 For their acheivements they were awarded certificates, medals and some creative hampers that Dala proudly, excitedly and carefully put together as a donation to this valuable cause. 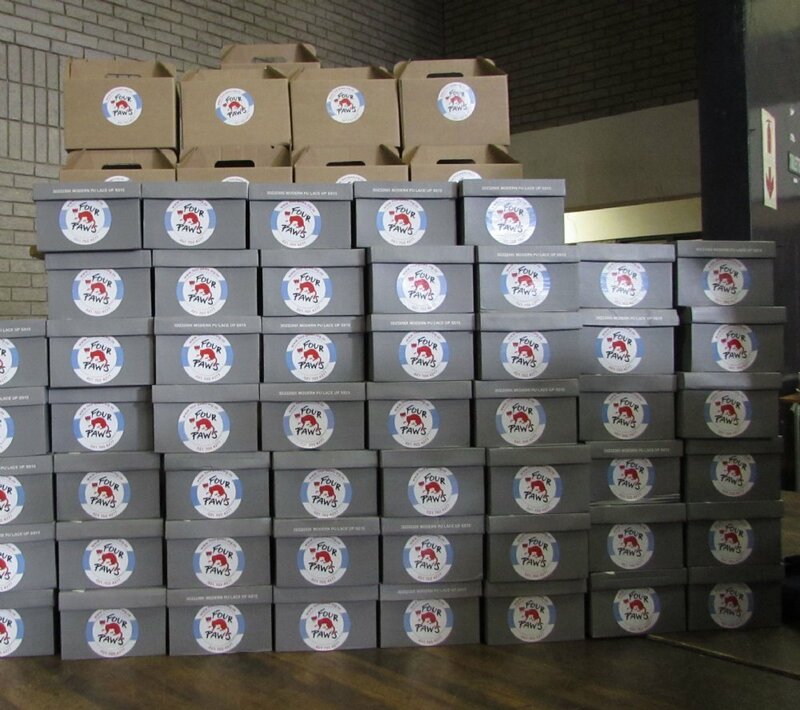 The event was very well attended and the children loved their hampers. The artworks awarded gold will be on exhibit at the Iziko National Gallery during the month of September 2017. 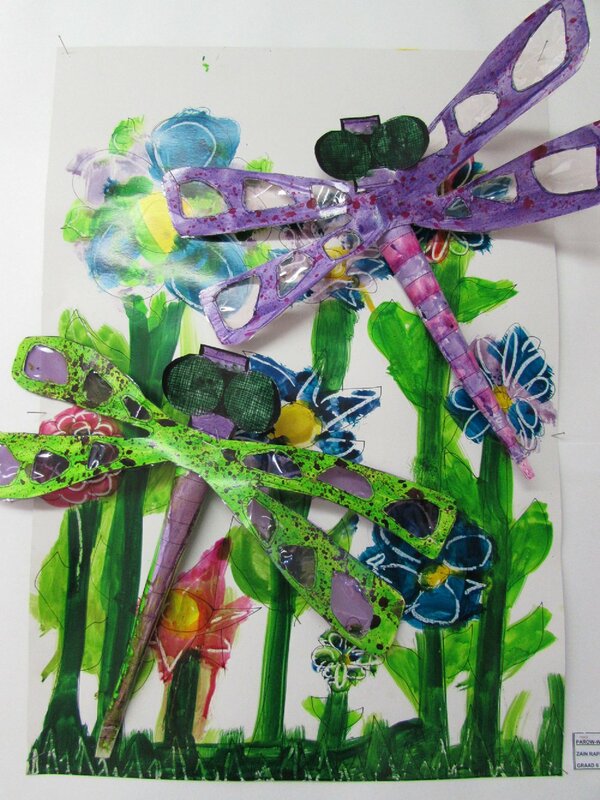 We would like to thank and congratulate again, the celebrated students and the dedicated and hard working teachers working at the Art Centre who provide creative arts programs and training for learners who who would not otherwise have access to these resources.